The final Technical Assessment Committee (TAC) meeting of the Advanced Condition Assessment and Pipe Failure Prediction Project took place in Newcastle on the morning of Friday 11th November 2016. This was followed in the afternoon by the last face-to-face meeting of the Committee of Management. The final Committee of Management deliberations will occur as a video conference in February 2017. The photo shows the participants after the final TAC meeting on the front steps of Hunter Water Corporation 36 Honeysuckle Drive, Newcastle NSW. 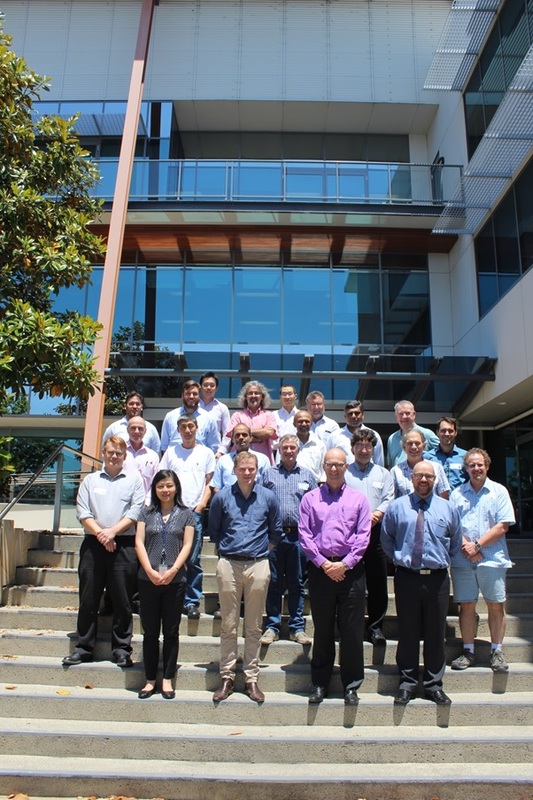 Bottom row: Mark Stevens (SA Water), Yan Han (Hunter Water), Mike Nicholas (SA Water), Paul Freeman (Sydney Water), Stuart Horvarth (Hunter Water), Tony Wells (University of Newcastle).